TORONTO -- Construction is slated to begin later this month on Toronto Premium Outlets, a 500,000-square-foot mall in Halton Hills west of Toronto, the developers announced Tuesday. The first phase of the outlet centre at Highway 401 and Trafalgar Road, just north of Oakville, Ont., is slated to in the summer of 2013. The project is a 50-50 joint venture of Simon Property Group Inc., one of the world's largest real estate companies, and Ontario-based Calloway Real Estate Investment Trust. The Halton Hills mall will house more than 100 high quality outlet stores and "is expected to be the Canadian entry point for selected upscale U.S. retailers and designer brands,'' the two companies said in a news release. 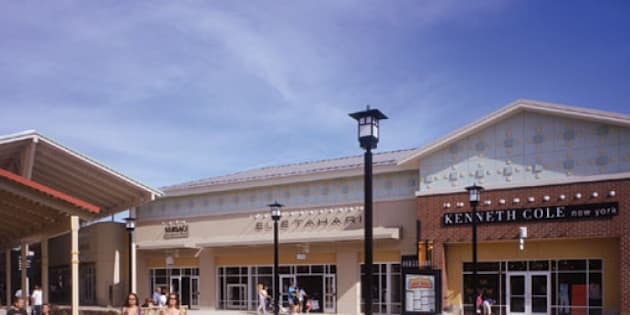 "We already welcome large numbers of Canadian visitors to our centres in the U.S. and look forward to serving these valued shoppers closer to their home,'' said John Klein, president of Simon's premium outlets division. The new outlet centre is expected to create more than 500 full- and part-time jobs plus hundreds of local construction jobs over the next 16 months. Simon Property Group currently owns or has an interest in 337 retail real estate properties in North America and Asia comprising 245 million square feet as well as a 29 per cent interest in Klepierre, a publicly-traded French REIT with a portfolio of approximately 270 shopping centres in 13 European countries. Calloway is one of Canada's largest real estate investment trusts. It owns and manages approximately 25 million square feet in 127 retail centres.